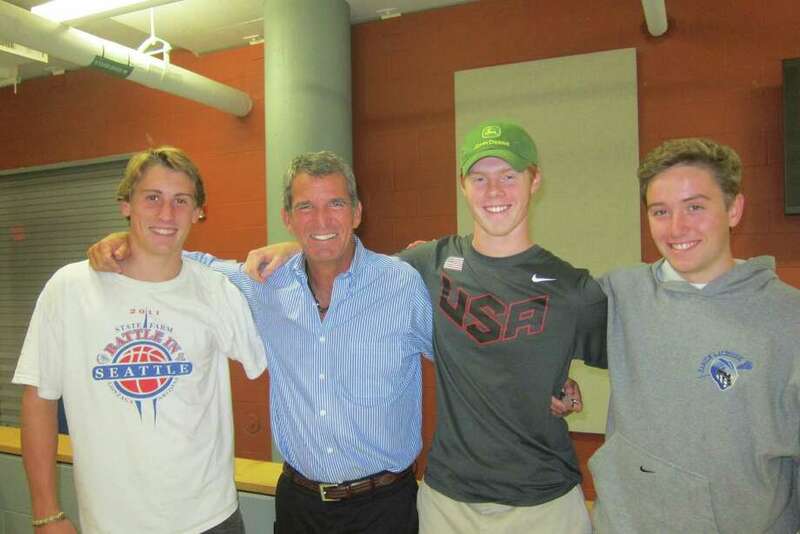 The 2014 Darien boys lacrosse captains pose for a picture with their coach. From left, Kyle Cornell, coach Jeff Brameier, Sam Meyjes and Brad McCarthy. As their first service project this year, all members of the Darien High School boys lacrosse team and their friends and family are invited to meet at 12:15 p.m. on Sunday, Oct. 6th to support the JR Schoen annual walk-a-thon. The team will be doing a lacrosse skills demonstration before the event and then will walk together as a team in honor of JR Schoen, a lacrosse enthusiast. Registration information is available online at www.jrschoen.org. In 2008, friends and family established the walk in memory of JR Schoen, a 9-year-old Darien boy who lost his life to a brain tumor. This family and community event will raise funds for Darien organizations that impact the lives of children. Please join us for the JR Forever 6th Annual Memorial Walk on Sunday at Pear Tree Point Beach. Sign in is at 12:30 p.m. and the walk is at 1:15 p.m. The event will be held rain or shine and strollers and wagons are welcome. This year's recipients are the Noroton Heights Fire Department, Obie Harrington-Howes Foundation in Memory of Shannon Dunleavy and JR's Ray of Hope. All families are invited to participate. Families will walk up Pear Tree Point Road to Long Neck Point Road, turn right and follow Long Neck Point back around to the beach. The distance is approximately 1.5 miles. Parking is limited, so please carpool. Registration is $25 per person or $100 per family. Additional donations are welcome. Day of event registration is available, however, only the first 250 registrants receive a commemorative t-shirt. Food and drinks will also be available. This year, Darien High School lacrosse team members will be on hand before the walk for a lacrosse demonstration. The Noroton Heights Fire Department will have a full-sized fire truck on site. After the event, Zumba and Karate demonstrations will entertain the family.